Well, having the capacity to mentally transform shapes is an important predictor of later success in certain math-related careers, such as science, technology, engineering, and mathematics. 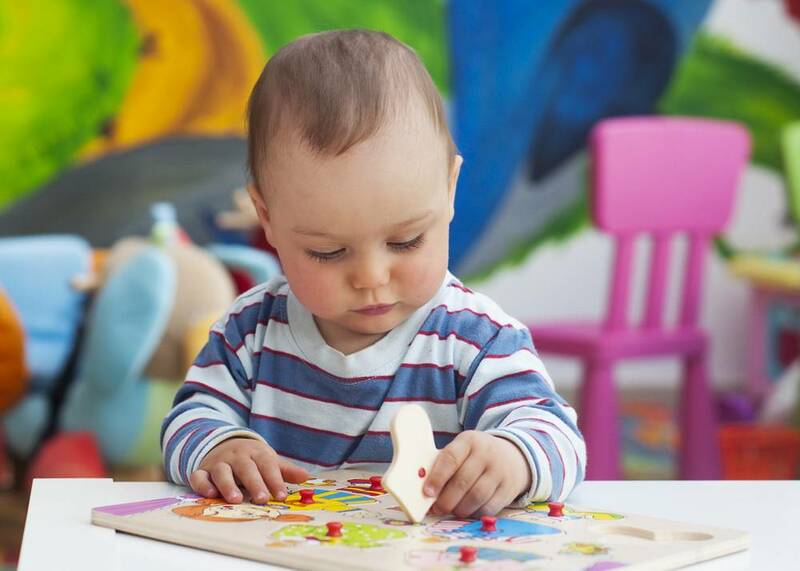 The findings from these studies show that activities such as puzzle play during the early years may lay the foundation and become a possible intervention tool for the improvement of this ability. 1. When using blocks, get creative! Get involved! Show your little one how to build and create different things together. Use challenges as part of the fun. Invite your toddler to try to build similar structures to ones you see in a book or TV, or to even try to replicate one you are making. Don’t forget to incorporate different toys and accessories to further stimulate pretend play. What shape will we get if we cut the sandwich sideways? Will all these items fit in one bag? Which street should we take to get home, left or right? Does the plate go under or over the table? Give your little one activities that will allow him to use spatial concepts, such as puzzles and building blocks. Research done by the University of Chicago revealed that children who heard their parents use spatial terms to describe the size and shape of objects, and who then use them in their daily interaction, perform better on tests of spatial skills! Some spatial terms you can use to in your day to day interactions are: round, square, bent, corner, under, over, little, and big. Incorporate gestures when using spatial words (ex. big, little, tall, short, circle, rectangle, square, curvy, bent, etc.) to improve your child’s understanding of the word. For instance, if you are describing to your child the word “tall”, move your hand as high as you can. As we talked about on previous posts, praising a child’s efforts encourages a child’s internal motivation to learn. When giving praise, try to say “Good job! You finished solving that puzzle!” or “Congratulations! Building that fortress looked really hard, but you kept trying and you did it!”. If you just say something like: “You are great at puzzles!”, your child will think he has an innate ability and not something you can achieve with effort. Instead of praising their final outcomes, parents should praise on their strategies, improvement, or effort to teach their kids that intellectual skills can be acquired. That way, they are more likely to view challenges as opportunities, rather than limitations. Lastly, remember not to push your child too far. Activities should be challenging enough that your child is learning, while also having fun; but not so difficult that he becomes frustrated. Assess your child’s confidence and, as you see he dominates the task, then you can begin to introduce a little bit of a challenge. Although toys, such as puzzles and blocks, may not be as flashy as video games or electric toys, there is evidence suggesting that children who play with them may gain a whole lot of cognitive benefits – meaning there may be some toys you should be paying attention to! In spite of the fact that building block toys are so straightforward, they are compelling formative instruments for kids, considerably more powerful than a large portion of the cutting edge electronic toys that appear to come and a seemingly endless amount of time. There are numerous ways these basic building blocks can shape and add to our kids.